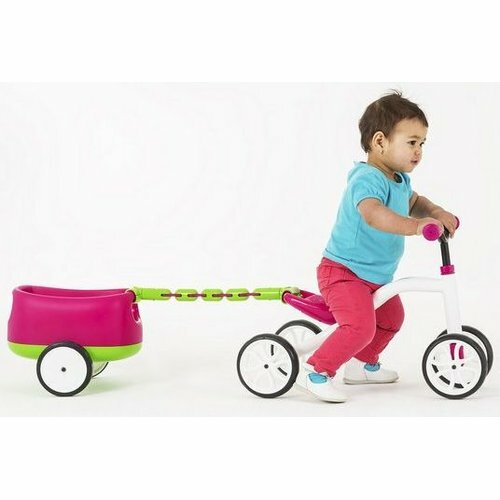 Click n' Play ride-on and trailer, to play train with little buddies or to pull a bunch of toys, fun for every bambino! Patented Click n' Play connector. Trunk and trailer storage to hide your candy for long road trips…. Oh, and a carry handle for daddy. Adjustable Quadie seat height without tools. 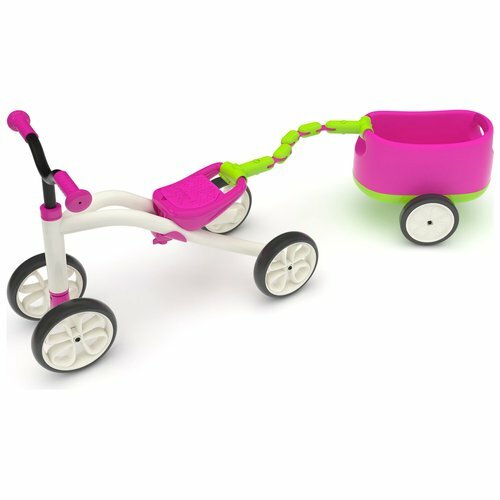 Non-marking wheels for indoor and outdoor adventures. We noticed kids playing board games, card games … together, but once on a ride-on, toddlers mostly play alone. At Chillafish it's all about delivering happiness, even for the youngest boys & girls. 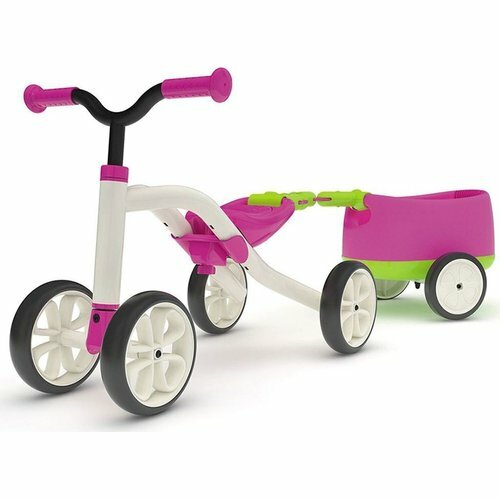 This click 'n play ride-on & trailer proves to be the perfect combination of friends & fun, playing together in an active way. 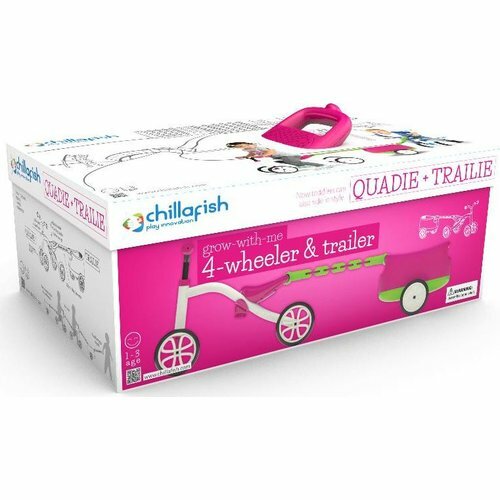 Quadie + Trailie makes the kids happy, and that makes us happy ! Great packaging, making for the coolest gift ever!